Solar heat has been used for millennia for drying crops and clothes. It’s freely available, easy to store, works whenever the sun is shining, and avoids greenhouse gas emissions. 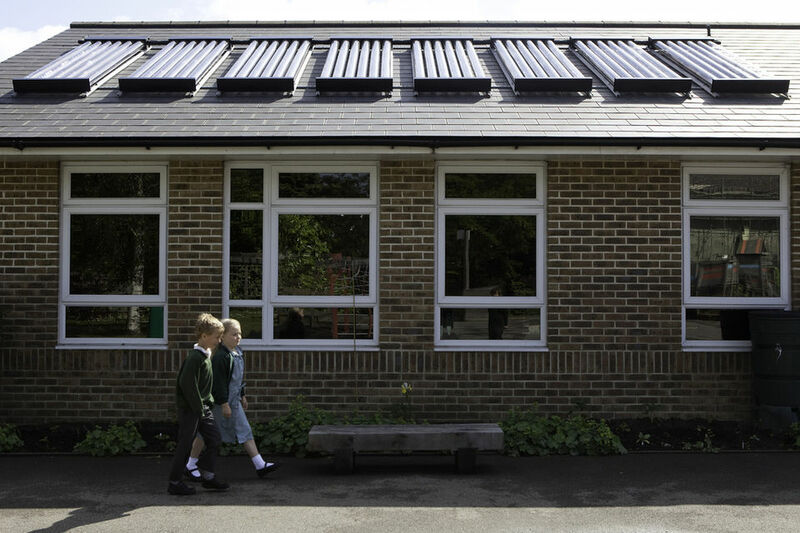 Panels capture the heat from the sun and can be used to heat water for any purpose. Around 52% of visible sunlight is radiation in the form of heat that a solar collector (panel) can use. The vast majority of global capacity in the solar market is installed in China. The majority of the energy provided by solar thermal systems worldwide is used for heating domestic hot water. Many solar water heaters use an electric pump to circulate a heat-transfer fluid between a collector and a hot water storage tank. The water in the tank heats up during the day, and will still be hot the following morning, provided the tank is well insulated. The alternative is to use the buoyancy of the heated fluid in the collector to circulate it, removing the need for electric power, so that solar hot water can be available away from the electricity grid or during power cuts. However, non-pumped systems work only if the hot water tank is mounted higher than the collector, and if lengths of connecting pipe are short. If the hot water tank is designed to take two heat sources, then a pumped solar water heater can be used with another heat source, for example a gas boiler. Solar water heating can be used in different climates. Around the tropics, where the amount of solar radiation does not vary much throughout the year, a solar water heater can provide nearly all the hot water needed for daily showers and other uses throughout the year. Ashden Award winner ECAMI has installed solar water heaters in both homes and hotels in Nicaragua. 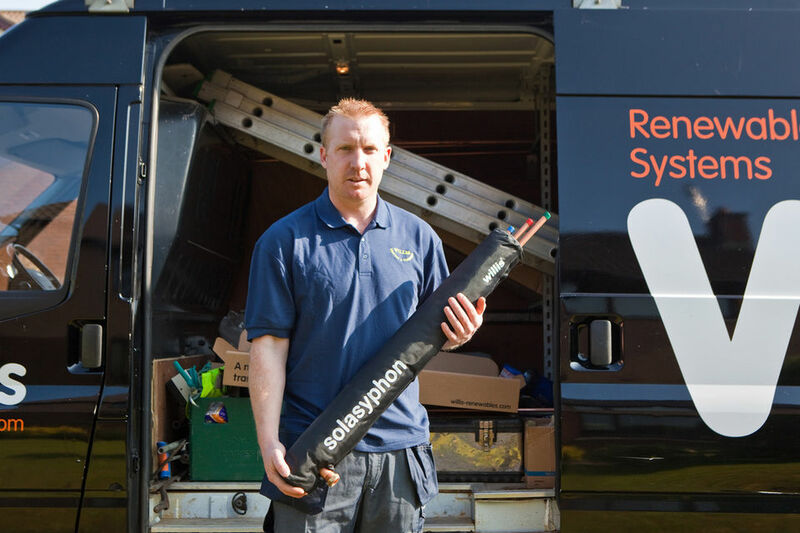 Even in the UK, a solar water heater which is sized to provide nearly all the hot water in the three sunniest months will continue to make a contribution during other seasons, and provide about half the hot water needed over a year. Kirklees Council installed solar water heaters in both existing and newly built social housing to do this. Solar heat can be used to dry crops by increasing the temperature of the crop and also increasing the rate of air flow through it. The simplest solar driers combine the solar collector with the drying cabinet. More complex driers have a separate collector to pre-heat air which then rises due to buoyancy and flows through the crop. 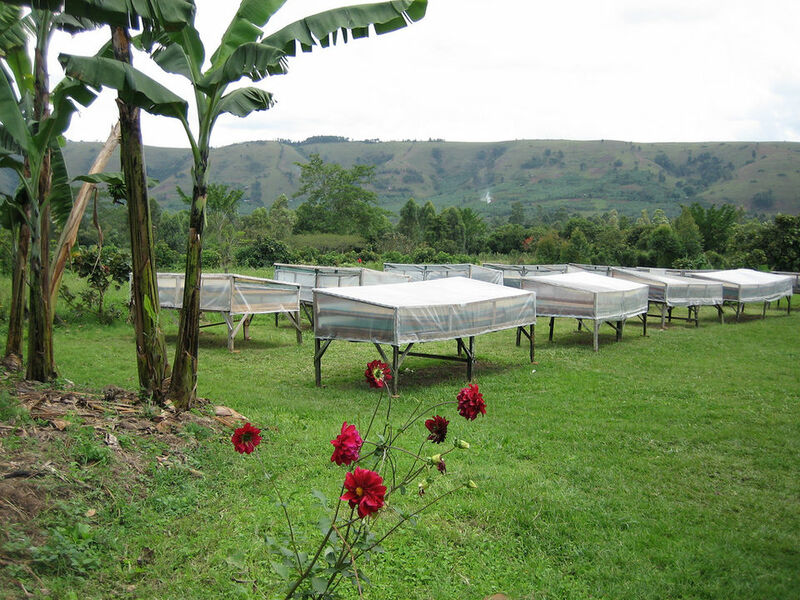 The food drying company Fruits of the Nile works with farmers in Uganda who dry sliced bananas and pineapple using solar driers each about 6 m² in area. An individual drier can take about 25 kg of freshly sliced fruit, which dries in about three days. 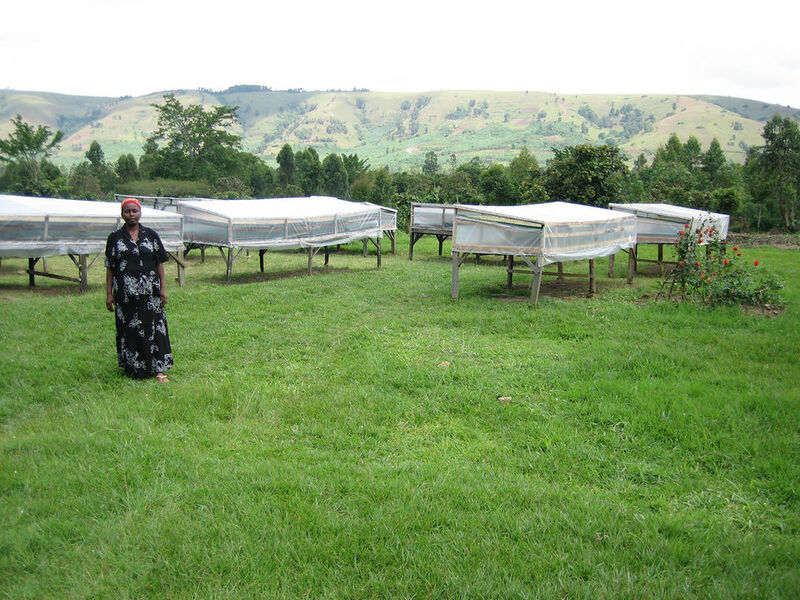 This need for a large area makes solar drying difficult for large scale food processing. But it fits ideally with on-farm processing. 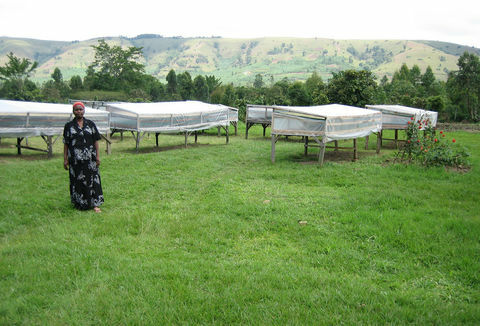 A solar drier allows a farmer to make an income from fruit which would otherwise have gone to waste, either because it was grown too far from the market, or because of seasonal gluts of produce. A well-known simple use of solar thermal energy is in greenhouses which raise the temperature of the air around crops by capturing solar heat. But a conventional greenhouse, without supplementary heating, does not keep very warm in winter. 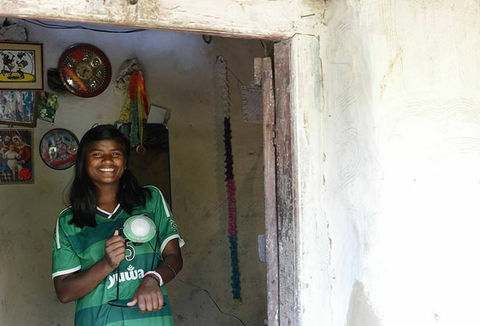 By looking carefully at solar design, GERES and its partners in Ladakh have developed simple greenhouses which keep the inside temperature above freezing even when the air temperature outside falls to -25C. This allows vegetable production to continue through the winter and improves the nutritional value and variety of the diet. These greenhouses are built with a south-facing polythene wall and massive walls on the north made from local stone, which are painted black inside to absorb the solar heat and store it during the day, and are insulated with straw on the outside. The polythene is covered by a cloth at night to reduce heat loss. 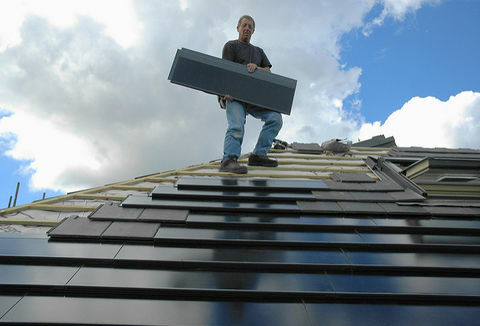 A solar thermal system needs a collector to capture heat from the sun, and usually some form of heat storage as well. To capture as much heat as possible, the collector is designed to maximise the absorption of solar energy, minimise heat loss and transfer heat efficiently to where it will be used. Heat is often transferred by circulating a fluid through pipes but sometimes the collector is part of the system that needs the heat. The most common use for solar heat is to provide hot water, usually at relatively low temperatures (less than 100C) for domestic use. Such systems are popular because hot water is needed all year round and is cheap and easy to store in a well-insulated tank, so that heat can be collected at one time of day and used at another. The solar heat often replaces fossil-fuelled or electrical water heating, cutting utility bills and greenhouse gas emissions. Access to hot water promotes hygiene and health, and solar water heaters are sometimes mandatory in social housing – for instance, in several programmes in Brazil. How much water is heated? A typical 4m² solar water heater supplies approximately 10 kWh of heat on an average day in the tropics. This could increase the temperature of 280 litres of water (enough for about eight showers) by 30°C. The same system would supply about half as much heat on an average day in the UK, with much more variation between summer and winter. When sunlight is focused onto a solar collector using mirrors or lenses, the temperatures reached can produce high-pressure steam to run a steam turbine that generates electricity. Concentrated solar power (CSP) used in this way is now close to commercially viable in places with high levels of sunlight and high daytime electricity demand. If heat storage is included, then CSP systems can generate power whenever it is needed. Desalination and water purification: where solar energy is used to evaporate water from a contaminated or saline source. The water vaopur condenses on a cooler surface, providing clean drinking water. The cost of solar water heaters varies greatly between countries. According to the Energy Saving Trust, the installed cost of a 3.6 m² solar water heater and tank was between £3,000 to £5,000 in 2017, with evacuated tube systems at the upper end of the range. By contrast, a standard 2m² evacuated tube water heater, ready to install, costs between $100-$200 in China. Renewable heat attracts much less publicity than renewable electricity, but despite this the use of solar thermal energy is increasingly rapidly. According to the IEA’s 2016 World Energy Outlook, thanks to falling costs and more efficient technology, solar water heating has grown by about 17% a year since 2000, although it still accounted for just 6% of hot water production in the buildings sector worldwide in 2014.